...from focusing only on Venture Philanthropy to supporting the entire ecosystem of Social Funders from philanthropists to impact investors and Corporate CSR professionals. She was instrumental in developing AVPN’s innovative services that connect, empower and educate the now 500+ members of AVPN. 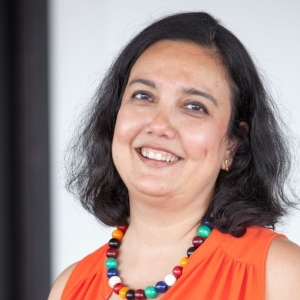 Prior to joining AVPN, Naina was a member of the senior leadership team of a purpose driven unit of The Monitor Group, a leading global strategy consulting firm, aimed at catalyzing markets for social change. Naina was also partner and Co-Founder of Group Fifty Private Ltd, curating contemporary Indian art with a view to provide a medium for upcoming and established Indian artists to showcase their work directly to a large and diverse audience. Naina has a master’s degree in Industrial and Labor Relations from Cornell University where she graduated at the top of her class. She also holds a bachelor degree in Economics and International Relations from Mount Holyoke College, Massachusetts, USA and a General Course Diploma in economics from The London School of Economics. ... impact investors, and with partners who can support changing social norms to contribute to women’s economic empowerment in the Philippines, Indonesia, Vietnam and Myanmar. Julia is a leader, social innovator and advocate for women’s empowerment. Prior to her current role, she spent 9 years as CEO of CARE Australia where she drove the case for gender equality and women’s empowerment in CARE Australia worked and within the CARE Global confederation. Julia has held various senior positions in international development, including Advisor to the Board at the World Bank and Assistant Director-General at AusAID. Her board memberships have included the Australian Council for International Development (ACFID) and CARE International. She is a Westpac AFR 100 Women of Influence Award Winner (Global Category 2013); Member of the General Division of the Order of Australia (awarded in recognition of services to International Development and Women in 2014) and former Telstra ACT Business Woman of the Year (2013). Julia has a PhD in Materials Science from Imperial College London.